If you’ve been using Facebook for a while to promote your business, then you probably know that Facebook is putting considerable effort into filtering page content to its users. This means you have to be smarter than ever to ensure your followers see your posts. 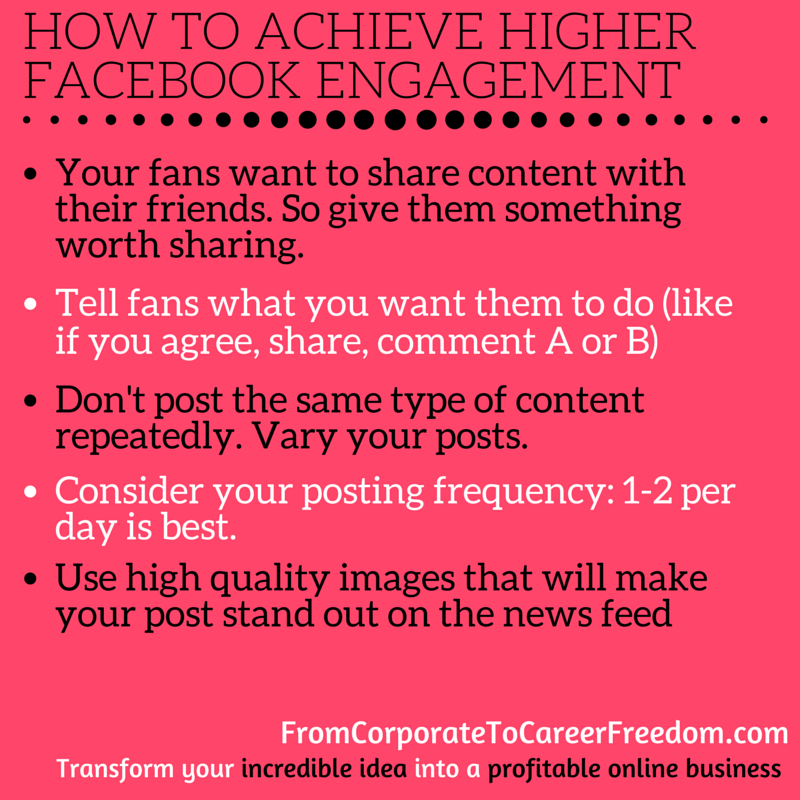 If this is news to you, check out a post I wrote last year on Facebook engagement. However, what you might not know is that as of January this year, Facebook has rolled out a new change. This change is going to make it even tougher for businesses to market to their customers. Here’s what you need to know. In January 2015, Facebook began rolling out a new algorithm that affects all businesses with a Facebook page. This change means that if you are using your Facebook page to post primarily promotional content, you’ll be penalized for it; it will be hidden from many of your followers’ news feeds. “Not again! I’ll have to give Facebook even more of my advertising dollars if I want to promote to my followers”. You aren’t alone. 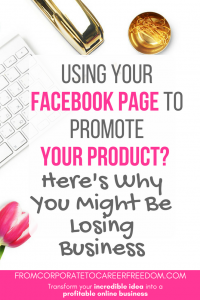 Many business owners find themselves in constant catch-up mode when it comes to marketing their business on Facebook, as the rules seem to frequently change. However, I would ask you to take a step back and think about this change in a more positive light. This is actually a good thing for your business. If you are merely using Facebook to throw promotional messages at your followers, then all you are doing is alienating your potential customers rather than building a long term rapport with them (Facebook’s own research backs this up, as they state that highly-promotional posts are one of their users’ biggest frustrations with the site). This change should give you the jolt you need to ensure the messages you send to your customers are done with integrity and authenticity; that you place value on the relationship with your customer, not the end sale. When Is Post Too Promotional? Likewise, if you are asking followers to install an app, and this is the only thing you are asking them to do, then the post would be classified as promotional. Facebook also mentions in their press release about contests and sweepstakes that have no context. The important word here is context. 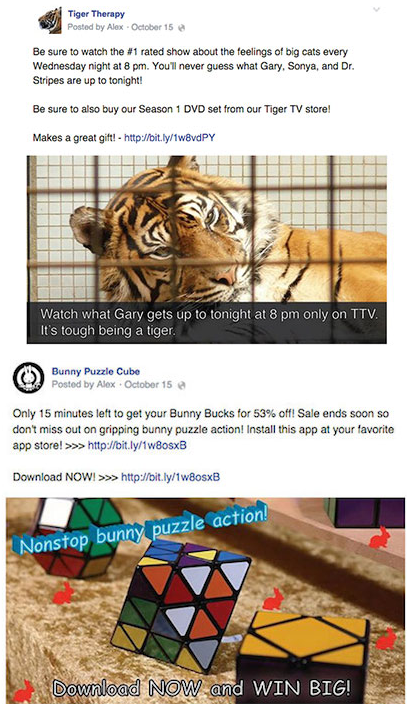 Facebook want to see that the post isn’t merely enticing their users to enter spammy competitions online (we’ve all seen those ad types), but that it is a competition related to your business. So if you are promoting a giveaway for one of your products, this should be fine. But if you are just promoting a stand-alone competition (as an affiliate marketer, for example), and it looks a bit spammy, then hold off. Facebook also surprised me with their statement that they frown upon page posts that reuse content from paid-for Facebook ads (I paraphrase). It’s easy to get caught out with this. I think we’ve all done it at one point or another. So be warned. Ask yourself: can I change this content around so that it really differs from my ads? Think about using different headlines, images and call-to-actions. Think about every post from your follower’s point of view. Are you adding value? Are you given them something that will inform them, entertain them or inspire them. Or are you really just trying to close a sale? Aside from Facebook’s rules, it’s difficult to close a sale on Facebook. So do this mental check every time you begin to draft a new post, and instead, make an effort to prioritize content that your followers will really enjoy . What these changes from Facebook come down to is encouraging businesses to really make an effort to create a positive experience for their fans and followers. Facebook don’t want businesses to fail (after all, it’s businesses that are their biggest revenue stream) but they do want them to build an enjoyable environment that’s in keeping with their philosophy – an environment that is fun, sociable and engaging. Remember, the reality is that your fans are on Facebook primarily to socialize with their friends, not to buy from you. So one of the best ways you can engage with them is if they see a post in their news feed that they naturally want to share with their friends. It’s human nature for people to want to share content that puts them in a positive light in front of their peers. This could mean sharing content they know their friends will find helpful, or funny, or merely content that will educate them. If you’re a mom, then one of your friends probably shared this viral post with you on Facebook: “The World’s Toughest Job”. It worked because it wasn’t primarily about the product. It was about moms. And that’s something many Facebook users have in common and like to share stories about. If you want your fans to engage with your post, ask them explicitly. So many businesses fail to do this. 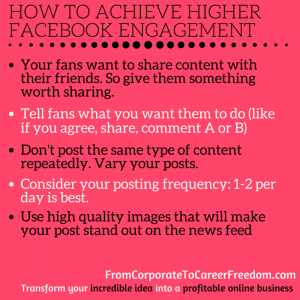 Don’t shy away from asking followers to like and share your post. Good examples include: like if you agree, share to enter this competition, comment A or B. Vary your posts. Don’t post the same type of content again and again. Users will quickly become bored. Vary your content from links, video, images, or simple text posts. Also think about varying subject matter: try humorous posts, competitions, behind-the-scenes, viral content and questions. A tool such as Agora Pulse will let you create campaigns in advance, and give you the opportunity to prepare posts that will really engage your audience, such as competitions and quizzes. Think about your posting frequency. Studies have shown that it is best to limit your posts to 1-2 per day. If you post too frequently, you are in danger of becoming white noise as far as your fans are concerned. Tools such as Edgerank checker will also tell you the best time of day for your posts, based on when your fans are online. Use high quality images that will make your post stand out. Try images that are bold, relevant and colorful. Avoid the Facebook blue color scheme, as these tend to blend in to the Facebook brand and fans may overlook your post. Interesting and quirky images always perform well. This great quality photo is highly tempting to any coffee fan (i.e. me). So What Will Happen To My Page If I Ignore These Recommendations? Facebook’s policy is pretty simple. If your page posts are mainly promotional in nature, then over time your organic reach is going to decline. This means that free (not paid for) posts to your followers will reach an ever-smaller audience. This is effectively like saying that your fan numbers are going to drop dramatically (which, when you think about it, would be disastrous for most businesses, given the time and money it takes to build a following in the first place). But I Really Need To Use Facebook To Sell My Products. So What Should I Do? I would strongly recommend you avoid using Facebook as a way of closing a sale to your customer. Instead, build Facebook into your sales funnel. Think of Facebook as an opportunity to turn a cold sale into a warm sale. You do that by slowly building trust and creating strong brand awareness. Sell via your email list. Don’t have an email list? Get a signup on your site today! Remember, Facebook can make an unlimited number of future changes to their site to make it harder and harder for you to sell, so you should never rely on it for that reason. An email list, on the other hand, is your asset to keep. Use Facebook paid advertising. If done correctly, you can use paid advertising to promote a product or a service. I would recommend you do some research first into how to optimize your ad campaign (this is something I’ll be covering in a future post). Drive Facebook traffic to your website. Again, your website is your business asset. Facebook isn’t. 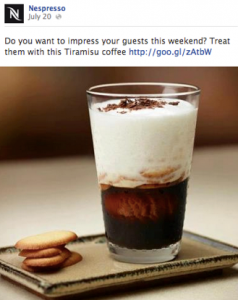 So you should always aim to be taking traffic from Facebook and to your site. From there, you can progress the sale. Use your sales page, not Facebook, to close the sale. If you really want to win a sale, a good sales page will have a far high conversion rate than a Facebook post with a ‘buy’ link in it. So you would be wise to invest time in crafting a high-converting sales page, and drive your ‘warm’ traffic towards that instead. Is It Worth Sticking With Facebook? 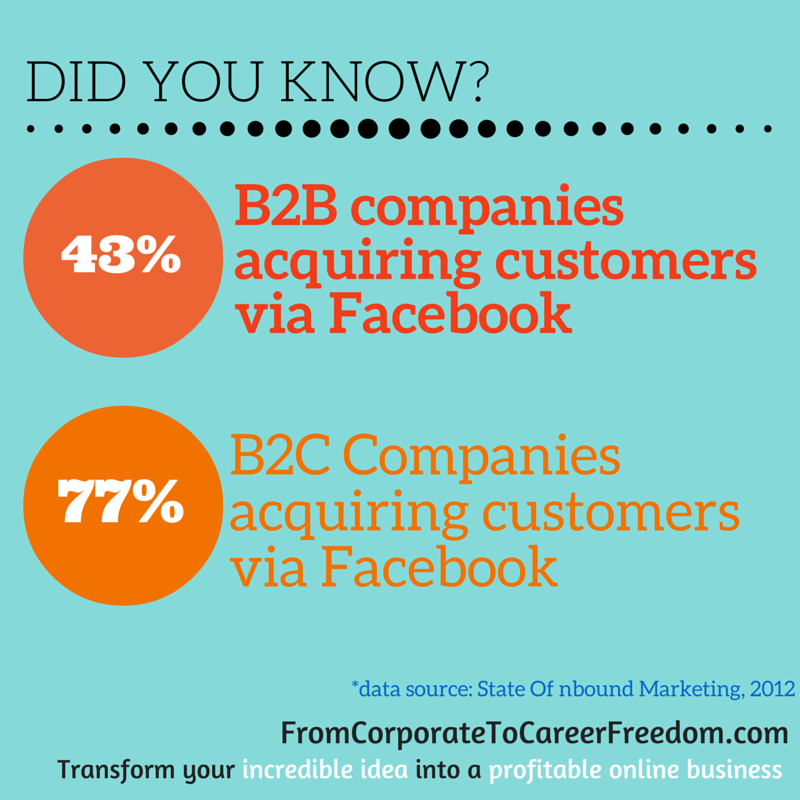 I still think Facebook is a valuable marketing tool for many businesses, and research backs this up. 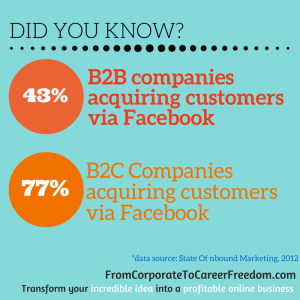 It still has an unrivaled user base, and data from 2012 (source: State Of Inbound Marketing) claims that 43% of business to business companies acquired customers via Facebook, and a staggering 77% of business to consumer companies acquired customers. However, as a business you need to really think ahead about how you market on any social media site, Facebook included, and have the ability to adapt quickly to the changes these platforms make to their rules. Never rely on Facebook, or any other social media platform, as the sole source of customers for your business. Give your business the stability it craves by ensuring that you are tackling your marketing from several different angles at once (for example: email marketing, SEO, social media, paid advertising).Above all else, make sure you concentrate on increasing Facebook engagement, not on selling. I use Yoast – highly recommend it.